The Federal Reserve signalled it’s done raising interest rates for at least a while and will be flexible in reducing its bond holdings, a sweeping pivot from its bias toward tighter monetary policy just last month. US stocks rallied, Treasury yields fell and the dollar sank as investors digested the new message from the central bank, which marked a broader shift toward sustaining the expansion -- rather than preventing any overheating -- and follows months of criticism from President Donald Trump for raising rates too much. 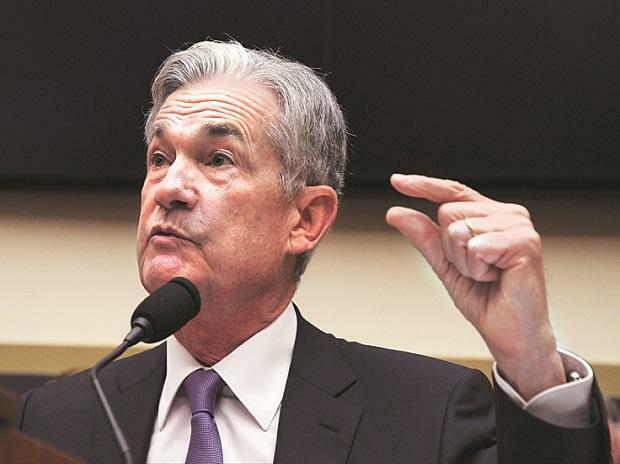 Chairman Jerome Powell told reporters that while the US economy was in a good place, slowing growth in China and Europe, Brexit, trade negotiations and the effects of the five-week US government shutdown had sent conflicting signals on the outlook. “At such times, common-sense risk management suggests patiently awaiting greater clarity, an approach that has served policymakers well in the past,” he said. On the balance sheet, Powell said the normalisation process will be completed “sooner and with a larger balance sheet" than previous estimates. The committee said it will continue to run monetary policy in an ample-reserve regime, where control over short-term interest rates “is exercised primarily through the setting of the Federal Reserve’s administered rates.” That suggests a larger balance sheet than would be the case if the Fed went back to its pre-crisis approach to managing rates. The 10-0 vote on the decision held the target range for the federal funds rate at 2.25 per cent to 2.5 per cent. The statement was in line with the views of more than two-thirds of economists surveyed by Bloomberg News last week, who said the Fed would alter language on “some further gradual increases” and would instead signal greater uncertainty, refer to patience or remove the line entirely. Even without a full flow of data, the Fed said household spending “has continued to grow strongly” while business investment growth had moderated since earlier in 2018. The committee said economic activity “has been rising at a solid rate” and job gains have been strong. There was no reference to the shutdown in the FOMC statement.